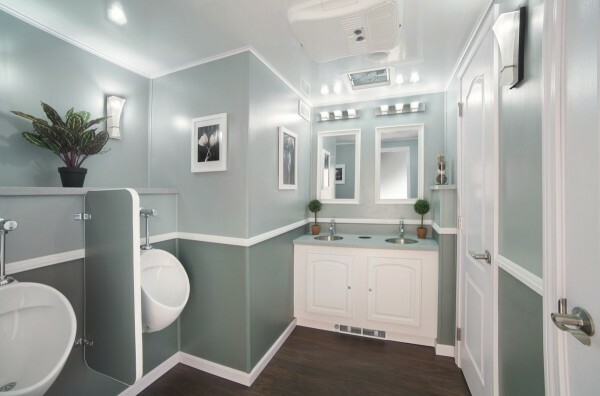 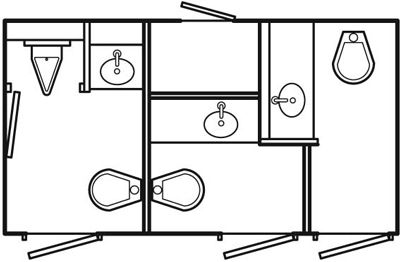 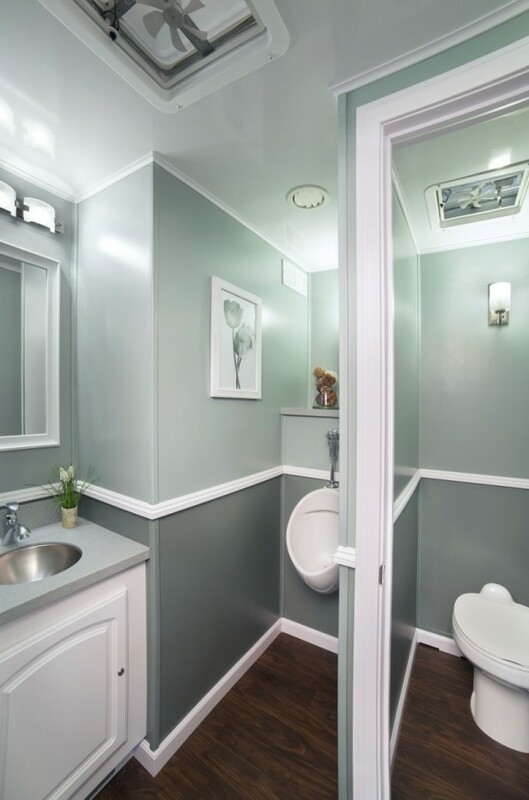 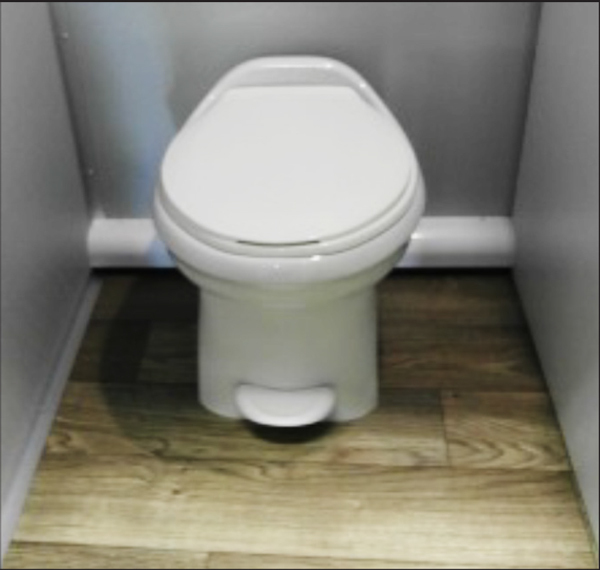 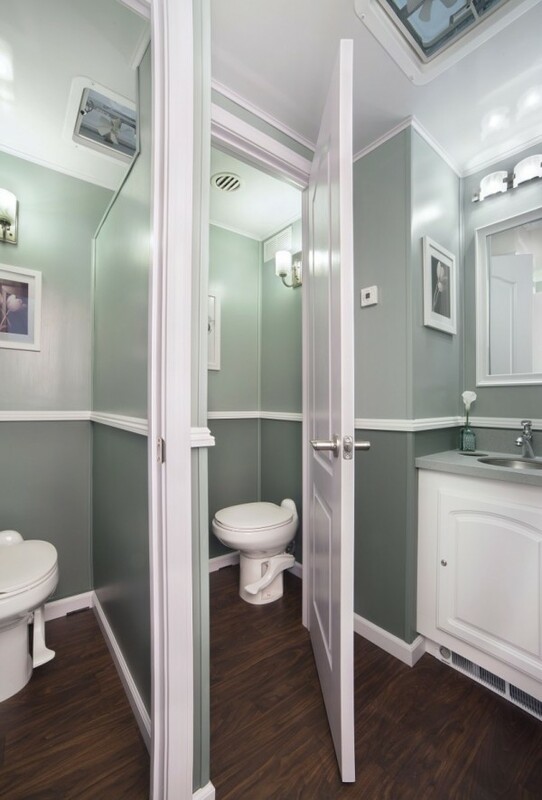 The VIP 2 provides a simple, compact solution to your restroom needs with spacious, separate restrooms with private entrances and tasteful interior finishes. 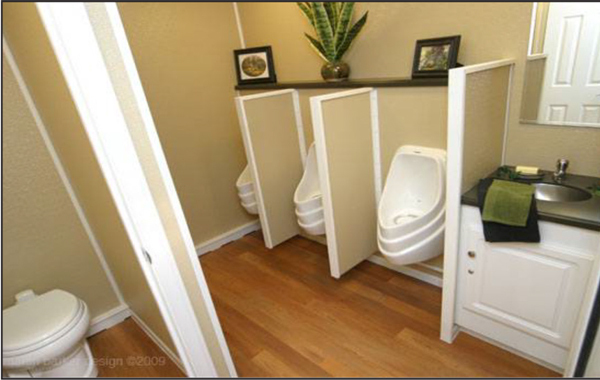 Perfect for small events. 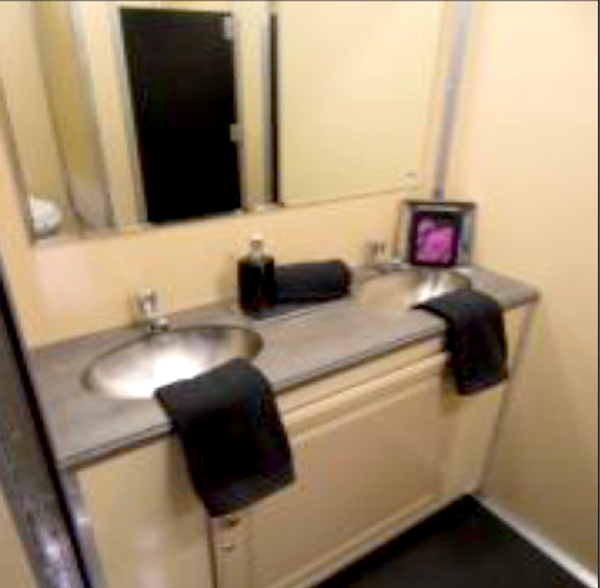 Luxury 2 is a two stall unit that is perfect for any event. 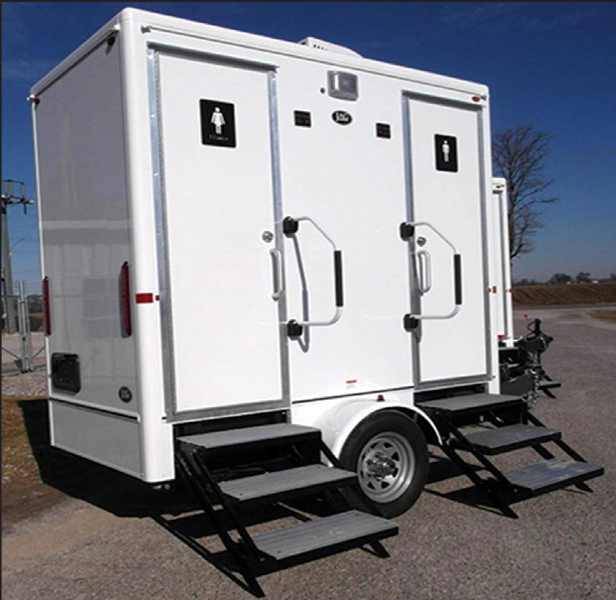 Luxury 3 is a three stall unit that is perfect for any event. 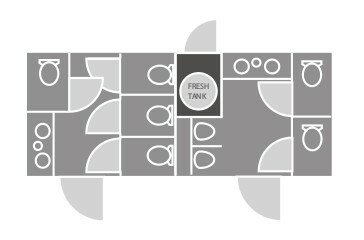 Luxury 4 is a 4 stall unit that is perfect for any event. 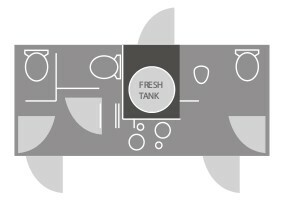 Our Lux 7 7-station offers class and style without breaking the bank. 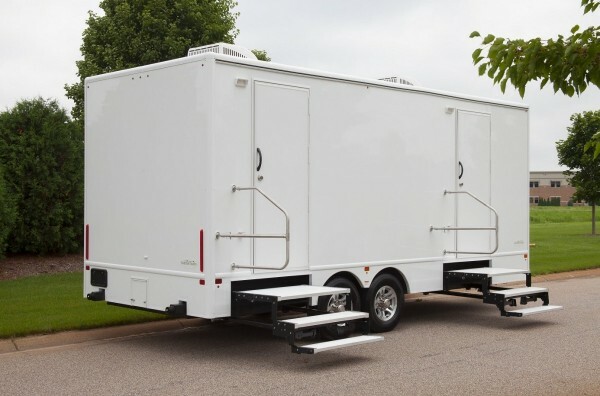 With tasteful basic interiors, the Lux 7 is ideal for backyard weddings, corporate events and job sites. 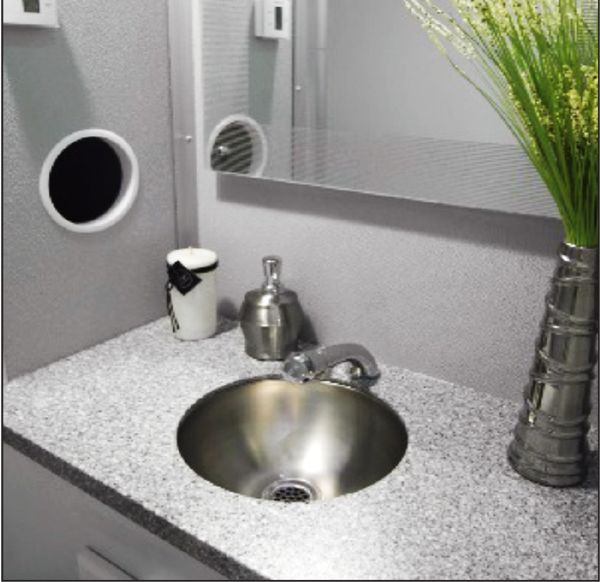 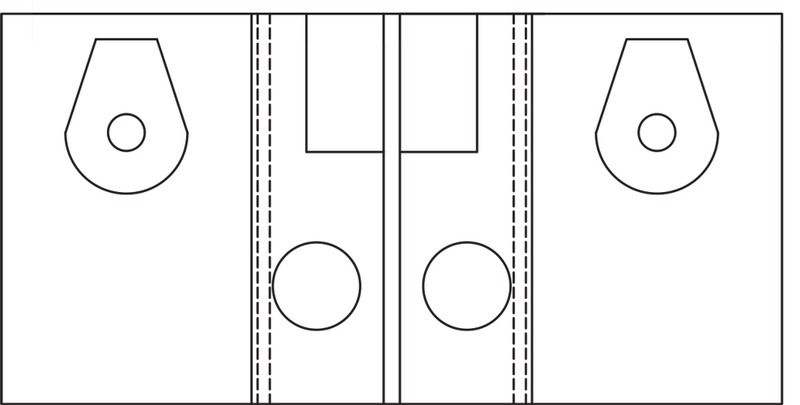 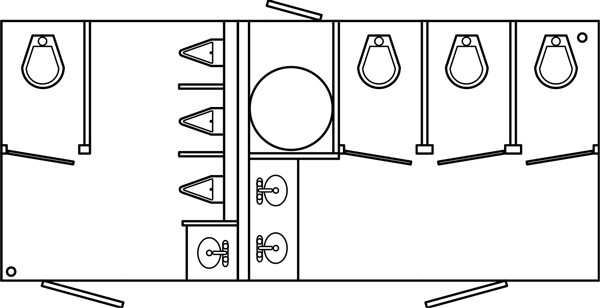 Women's : 3 private stalls with 6-panel doors + 2 stainless steel sinks in solid surface counters.